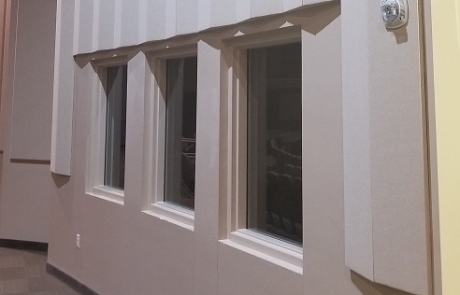 The WEDGE Panel is a great tool to have in your acoustic arsenal. 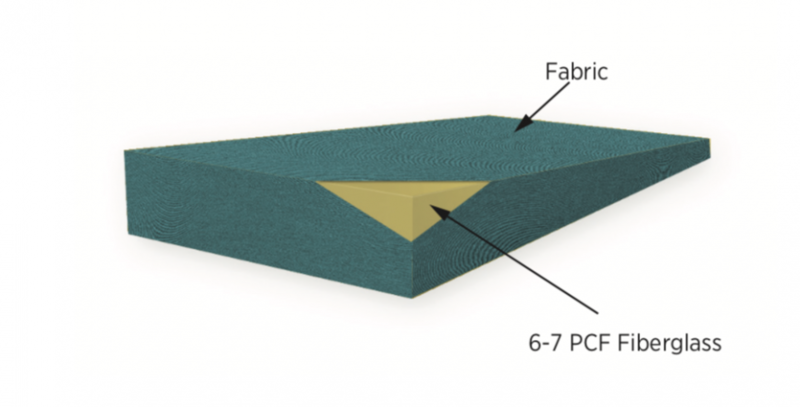 Their tapered design, from 1″ thick to 3″ thick, allows for changing the NRC performance by either spacing them together or apart, as well as some great design approaches. 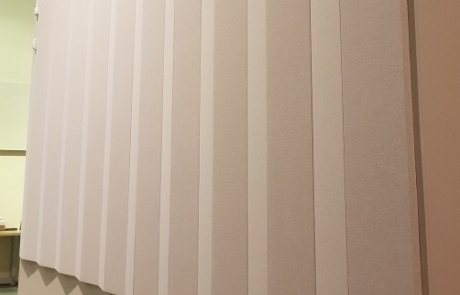 The WEDGE Panel really shines in a curved space that requires absorption. 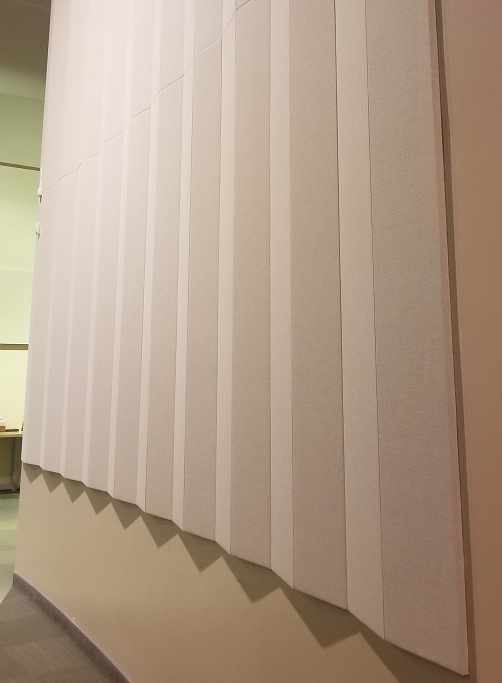 Placing a flat-faced, fabric-wrapped fiberglass panel on a concave surface does not adequately eliminate acoustical focusing. 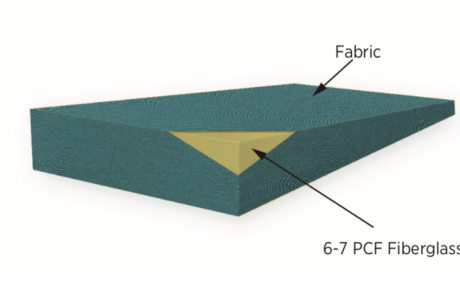 Angling standard fabric-covered fiberglass panels can be difficult. 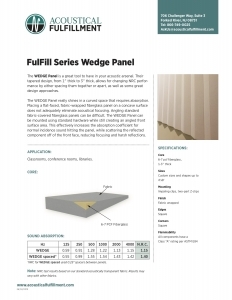 The WEDGE Panel can be mounted using standard hardware while still creating an angled front surface area. 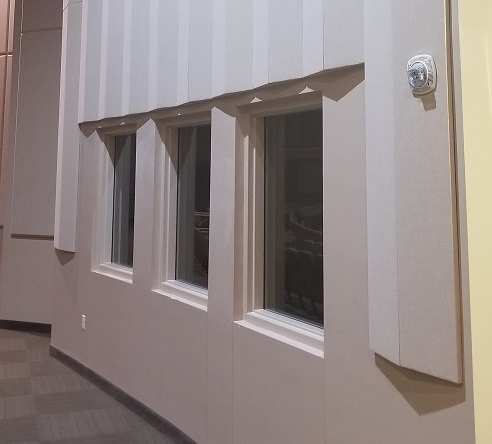 This effectively increases the absorption coefficient for normal incidence sound hitting the panel, while scattering the reflected component off of the front face, reducing focusing and harsh reflections.